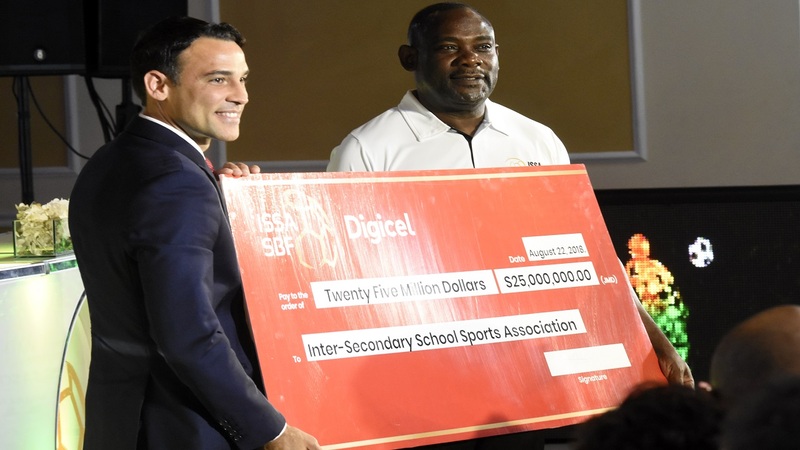 Justin Morin (left), CEO of Digicel Jamaica, presents a symbolic cheque for $25 million to Dr Walton Small, President of the Inter-Secondary Schools Sports Association (ISSA) at the launch of the 2018 schoolboy football season at the Terra Nova hotel in St Andrew on Wednesday. Digicel will invest $75 million over three years as title sponsors for the urban area Manning Cup and Walker Cup knockout competitions. (Photos: Marlon Reid). Digicel and Wisynco have been confirmed as title sponsors of schoolboy football for the next three years. The announcement was made by Keith Wellington, vice-president of the Inter-Secondary Schools Sports Association (ISSA) during the launch of the 2018 season at the Terra Nova hotel in St Andrew on Wednesday. The 2018 season is scheduled to kick off on Saturday, September 8 with seven Manning Cup games and 32 daCosta Cup matches. This represents the first time that both the Manning Cup and daCosta Cup competitions will operate under separate sponsorship. Justin Morin, CEO of Digicel Jamaica, who announced his company's sponsorship, said the telecommunications firm and entertainment provider is excited to be a major partner with ISSA. "For me, it brings pure delight to announce the newly-renamed Digicel Manning Cup and Digicel Walker Cup competitions," said Morin. "Supporting schoolboy football is very important to all of us at Digicel, because we see it as a major investment in the future of some of Jamaica’s most talented young athletes. And being the biggest event to open the national schools’ sports calendar means very soon we will again witness school rivalry at its best when the games get into motion in the next 17 days," he added. Morin also announced a number of new features for the season. He said, "for the first time ever, every Digicel customer will be able to watch the games live on the SportsMax channel via our PlayGo streaming app, and get match stats and updates from other content providers like www.schoolboyfootball.com, Loop and our social media pages. We’ll be launching simple, affordable packages so that everyone will be able to watch a televised game while on the go. "We’ll also be bringing a new level of energy, fun and excitement to entertainment at the matches – including Fan View videos on social media - with lots of surprises for the fans. "This year also marks the unveiling of a newly-designed trophy for the Digicel Manning Cup competition. And to give everyone an opportunity to see it, we will be launching a trophy tour - making stops at Digicel stores and pep rallies at Corporate Area schools. This will certainly add motivation to the teams and remind everyone of the glory of being crowned Manning Cup champion." The Digicel Jamaica CEO also announced that the company has engaged retired national player, Ricardo Fuller, to provide mentorship to teams. Morin said, "Digicel will partner with ISSA and their #ISSArealGOAL campaign to provide professional mentorship to select teams through our newly-appointed Programme Ambassador, former national and English Premier League player, Ricardo Fuller. A product of the Manning Cup and an inspirational figure, Ricardo will guide our young, aspiring 'ballers on how to make it into the professional leagues after they’ve transitioned from the schoolboy football programme." 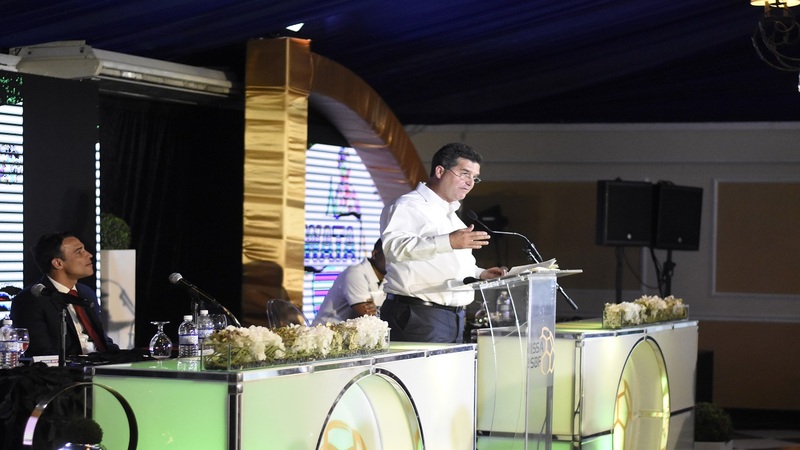 William Mahfood, chairman of Wisynco Group, said his company is committed to sports in Jamaica. "Wisynco's commitment to sports in Jamaica is unrivalled by any other beverage partner. The company's direct investment in football has exceeded over $60 million in the last four years, which until now has been the largest investment that the company had undertaken for any single sport," said Mahfood. The 2018 season will see 130 teams competing for six prestigious trophies. 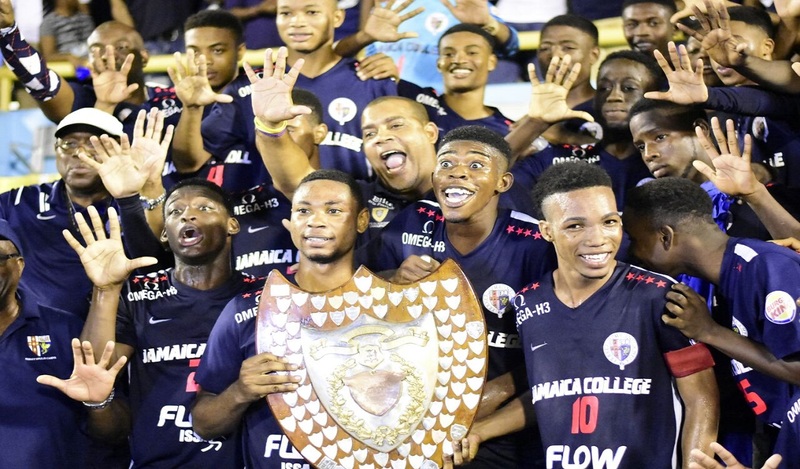 In addition to the Manning Cup, daCosta Cup, Walker Cup knockout and Ben Francis knockout, the ISSA Champions Cup knockout, to be staged for the first time, and the Olivier Shield, will also be up for grabs. 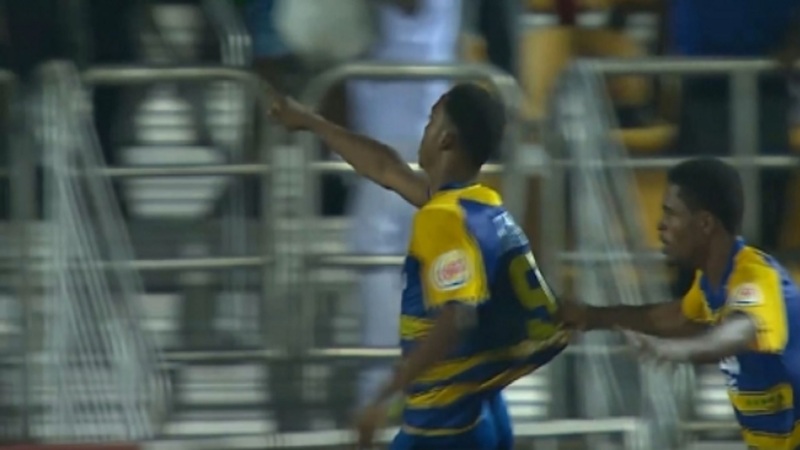 The format of the Manning Cup and daCosta Cup will remain the same, but the Walker Cup knockout and Ben Francis knockout have both gone through major changes. For the Ben Francis Cup, teams which finish third and fourth in the four respective daCosta Cup quarter finals groups will contest this competition, a major change compared to last season when only the top four daCosta Cup teams contest for the title. All matches, which end in a draw at the end of regulation time will be decided by a penalty shoot out. There will be no extra time. 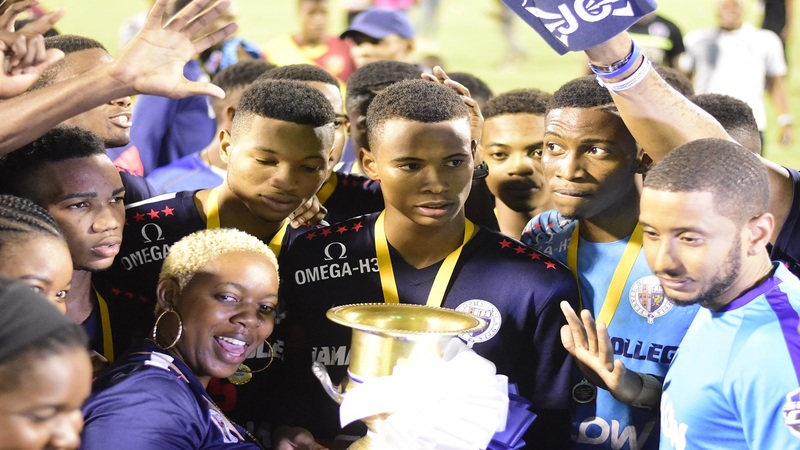 The Walker Cup competition will now comprise the eight losers of the Manning Cup Round of 16 home- and-away knockout; a major change compared to former years when the seven preliminary round group winners and the best second place team earned the right to contest that competition. All matches which end in a draw at the end of regulation time will be decided by a penalty shoot out. There will be no extra time. The ISSA Champions Cup will feature the eight teams which won their second round Manning Cup two-way play-off games and the eight teams which finish as winners and runners-up in their respective daCosta Cup quarter finals groups. The competition will be played on a knockout basis. SportsMax will be media partners and will broadcast selected matches live throughout the season. SportsMax CEO, Oliver McIntosh, announced a deal worth just over $46 million annually. Associate sponsor KFC will invest $18 million.